For a startup Marketing Agency the campaign performance reporting dashboard was overburdened with too many layers of manual data processing to generate reports resulting in inconsistent and delayed reports for its clients. To streamline their campaign performance report the Client embraced Applied AI to process the reports data and provide management insight on campaign performance via a conversational AI bot. Aretove leveraged its Applied AI accelerator BONZO to build a Conversational bot for Business Reporting, which supplements the traditional performance dashboard. Our team focussed on the various delivery engines and the process in which the current data was being assimilated for deriving the reports. This brought up the gaps in how to optimize the data collation process for the performance reports. 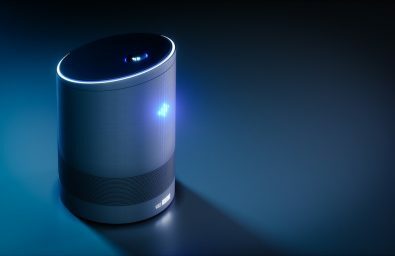 An alternative on-demand conversation bot that could report the campaign performance and revolutionize the insights for the Client’s Ad Operations team. Our team mapped the disparate data sources from various ad delivery engines and built an enterprise data warehouse on a redshift node cluster. The Ad Operations team was transitioned from the manual reporting process to the new custom dashboard. BONZO our Applied AI accelerator was utilized to build the conversational bot on Raspberry Pi platform for ad hoc reporting. The bot was trained on various context and intent scenarios to ensure a natural and rich conversational experience. BONZO also allows the flexibility to integrate with Natural Language Classifiers like IBM Watson, Dialogflow etc. The Clients Ad Operations team now has the flexibility to run reports via the traditional data warehouse or get campaign insights through the AI conversational bot. This provides them the ability to report the campaign performance number to their Clients on an on-demand basis and also optimize the campaigns, resulting in increased revenue from higher conversion numbers. Need a proven team that can build your conversational bot?